Trichomonas vaginalis is a flagellate protozoan that causes trichomonosis, a sexually transmitted disease of worldwide importance. However, the infection has long received much less attention than other parasitic and sexually transmitted diseases. This negligence leads to poor diagnosis and underestimated prevalence values, and consequently, it has been associated to increasing acquisition and transmission of HIV, pregnancy outcomes, infertility, pelvic inflammatory disease, and cervical and prostate cancer. In view of increased resistance to drugs belonging to the nitroimidazole class, new treatment alternatives are urgently needed. Natural products provide an immeasurable wealth of active molecules, and a great number of new drugs have been originated from these compounds. In addition, new synthetic products or derivatives from old drugs also provide an alternative to treat trichomonosis. Albeit many studies have been performed with natural products against T. vaginalis, none of them progressed to clinical trials. Overall, inadequate financial investments are made, and no alternative treatment for trichomonosis has been discovered; meanwhile, hundreds of thousands of people will remain infected and suffering the serious consequences of this nonviral STD. 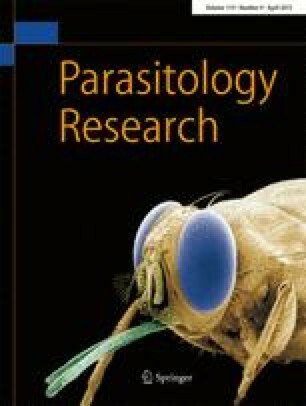 Thus, it is highlighted that clinical trials for better understanding the potential in vitro are necessary and urgent in order to furnish a new therapeutic alternative for trichomonosis treatment. The current review attempts to give an overview on the potential of natural and synthetic products as antitrichomonal. P.B.V. thanks CAPES for student scholarship A.J.M and T.T. thank CNPq for researcher fellowship and for financial NANOBIOTEC-Brasil (Coordenação de Aperfeiçoamento de Pessoal de Nível Superior, CAPES). Authors thank the Post-Graduation Program in Pharmaceutical Sciences, UFRGS.